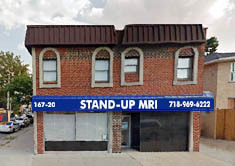 Stand-Up MRI of Queens, P.C., located in Flushing, is equipped with two MRI scanners: The Stand-Up® MRI and a 1.5T Extremity MRI. 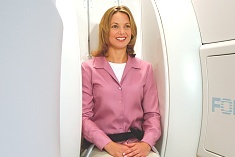 .The unique physical configuration of the 0.6T Stand-Up® MRI (a product of FONAR Corporation) makes it the world's most Patient-Friendly™ MRI and also the only MRI that can scan patients in any position, allowing it to detect certain problems that would be underestimated or completely missed by any other type of MRI. The ONI MSK Extreme 1.5T (a product of GE) provides comfortable imaging of the extremities, including knees, wrists and elbows.